The time has come for buying a house. For some, paying rent has become more of a hassle than a help, yet others wish to move to something bigger or smaller when their circumstances have changed. Regardless of why this decision has been arrived at, certain choices must be made, with one being whether to purchase a fixer-upper or a new house. This remains a controversial topic with many, so how does one know which is best when buying a house? PROFESSIONAL ADVICE. In most cases, fixer-uppers need remodeling and extensive repairs. To get an accurate estimate, a contractor or an architect will likely be needed to assist with this. SHORT TERM LEASE. Where will the family live during the remodeling process and how long will it take to complete? If extensive repairs are needed, the family will likely need to pay rent and a mortgage simultaneously or two mortgages until the home is move-in ready. ADDITIONAL REPAIRS. 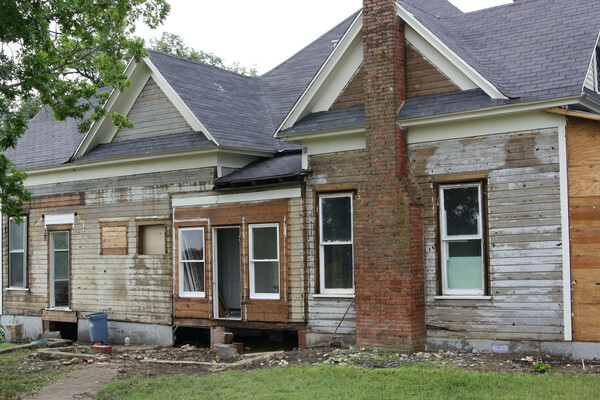 Once repairs begin on a fixer-upper, it is not uncommon that new problems not previously detected may be found. Although this can be a problem with new homes, they are much less frequent and are often covered by the warranty. When the following costs are added to the purchase price, a fixer-upper that initially appeared to be a great deal can actually end up costing more than the price of a new home. Home buyers need to have all these costs planned into the purchase price before making that decision. When buying a new home, few renovations are needed because the home buyer is part of the construction process. As a result, the homeowner knows exactly how much they will be paying and what they will be getting. TECHNOLOGY AND DESIGN. New homes often feature the technology and design elements individuals are searching for, such as walk-in closets and open floor plans. Although these items can be added to a fixer-upper, the cost of desired renovations can exceed the value of the home once the necessary repairs and desired amenity modifications are complete. ENERGY EFFICIENCY. New homes are generally more energy efficient. Retrofitting a fixer-upper can require a great deal of money and, in certain situations, may necessitate major renovations to the home. For example, retrofitting a heat pump heating and cooling system in a home tends to be expensive due to the need for ductwork and other items. Consider both options when buying a house. It will be helpful to do a side-by-side comparison of the all the costs and the total costs. While some find a fixer-upper is perfect for their needs, as they love the hands-on work and ability to adapt the home to their needs, others don’t want the hassle of repairs. In the end, only you can decide which category you fall into when buying a home.